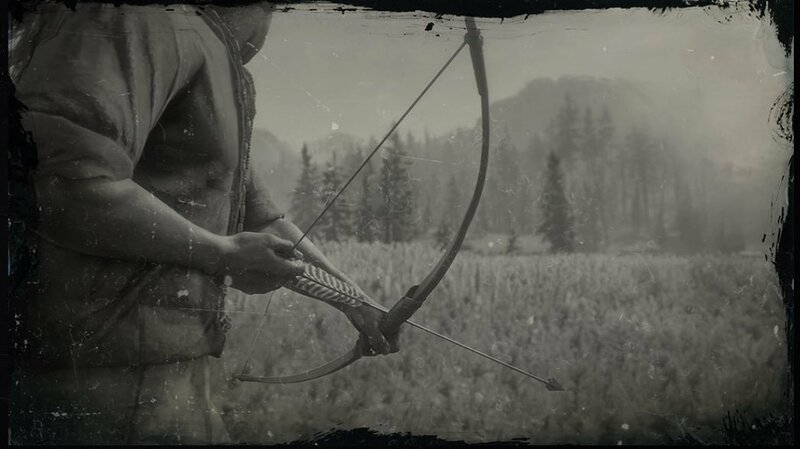 The Bow is a Special Weapon in Red Dead Redemption 2. When used by a skilled archer, the Bow can be a deadly and accurate weapon at range, with many types of arrows able to be crafted. Whether using Small Game Arrows to hunt squirrels or the Dynamite arrow to make a bold statement, the Bow has been the weapon of choice for generations. This weapon can use Regular, Improved, Small Game, Poison, Fire and Dynamite arrows. One of the only weapons with reusable "ammunition", arrows can be picked up from your victim's corpses.